To know how seriously business leaders take IT security issues, look at the budget. There's almost always money in there for security -- even when spending is tightly constrained in other areas. Cloud security challenges are among the chief concerns for many organizations, and understandably so. 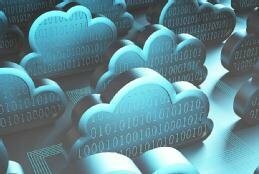 Cloud computing is a powerful tool, but it is also a source of worry. The nagging questions about data protection have subsided as adoption rises and protection strategies improve, but security is a battle that must be fought and refought, and it is never fully won. IT teams and corporate leaders worry constantly about the risks the cloud exposes a business to, even as security improves. In fact, Gartner researchers point to cloud security challenges and privacy concerns as the top reasons organizations are reluctant to use public cloud services. For businesses that are using the cloud, identity and access management (IAM) technologies and strategies are important allies in overcoming cloud security challenges. Identity-based tactics help a business ensure that it is granting access to people and services in an authorized fashion rather than in a haphazard manner that could be exploited. IAM tools are among the best weapons available, as cloud consultant Tom Nolle explains in this handbook's feature article. They allow a business to systematically manage user identities and permissions. They assign roles to particular people based on what certain workers need in order to accomplish their duties. And they keep out those who shouldn't be viewing particular information. Without stringent controls over its cloud resources, a business simply won't know who is accessing which data and for what purposes. And to not know puts the organization at unnecessary -- and preventable -- risk.